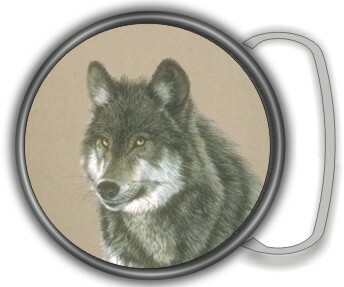 WOLF DESIGN ROUND BUCKLE. Fits 1 1/2 to 1 3/4 belts. Custom text available on buckle. 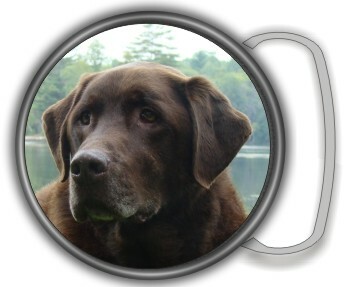 YOUR PET ROUND BUCKLE. Fits 1 1/2 to 1 3/4 belts. Custom text available on buckle. E-Mail photo to lakereg@megalink.net. We can crop photo. 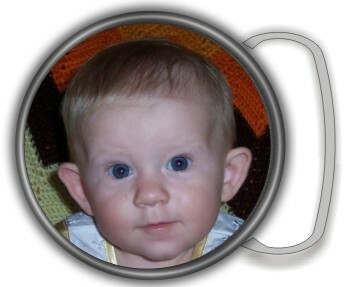 YOUR PHOTO ROUND BUCKLE. Fits 1 1/2 to 1 3/4 belts. Custom text available on buckle. E-Mail photo to lakereg@megalink.net We can crop photo.